We’d love your help. 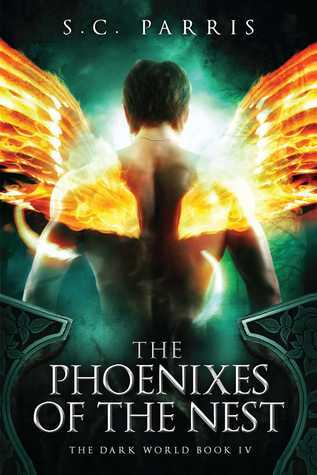 Let us know what’s wrong with this preview of The Phoenixes of the Nest by S.C. Parris. Pulled to the one Creature that can give him answers to the many question he seeks, he takes matters into his own hands, and uncovers what c Everything will burn. To ask other readers questions about The Phoenixes of the Nest, please sign up. I have really enjoyed reading the series so far. The Dark World is completely different from what I usually read. I do not usually do reading my Lycans, Vampires, and the such (although I would read about Enchanters). If I remember correctly, there are just about a couple of more books coming in the future. I cannot wait for them. This book brings in an entire new layer to the story and the battle going on between the different kinds of creatures in the Dark World. As I said before, if you think you know everything, there is still plenty to uncover and learn. You will never, never know all the information in this world. S.C. Parris is the author of The Dark World Series & horror short story, A Night of Frivolity. She is currently writing the sixth book in her dark fantasy/horror series. She attends University on Long Island, and when not in class, or working, she is writing.